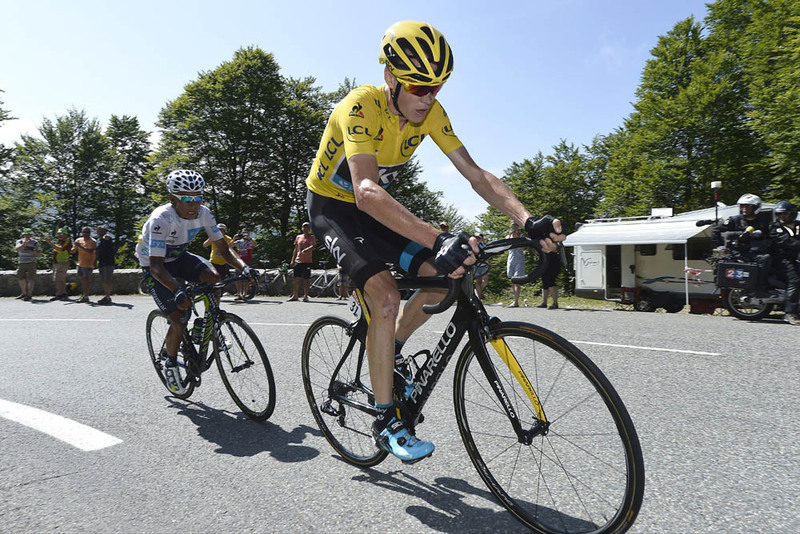 Chris Froome (Team Sky) blasted away his overall rivals at the 2015 Tour de France on Tuesday, with a dominant display on the race’s first mountain-top finish on stage 10 in La Pierre-Saint-Martin. Froome won the stage solo, with Sky team-mate Richie Porte coming home for second place ahead of Nairo Quintana (Movistar). The real story of the stage, however, is how much time some of the leading favourites lost on just one climb. Biggest loss was for defending champion Vincenzo Nibali (Astana), who finished the stage four minutes and 25 seconds behind Froome. Nibali now sits in 10th place overall, 6-57 adrift of the Sky leader. Alberto Contador (Tinkoff-Saxo) and Tejay van Garderen (BMC racing) were also casualties of Froome’s pace, respectively dropping 2-50 and 2-30 to the race leader. 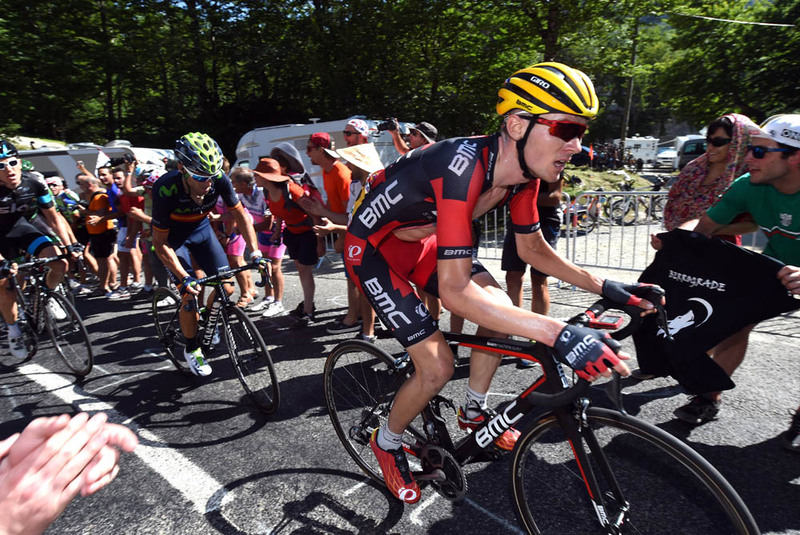 Froome now leads van Garderen by 2-52 overall, with Quintana moving up to third at 3-09. Geraint Thomas (Sky) finished the stage in sixth place to move up to fifth overall, ahead of Contador by one second. Adam Yates (Orica-GreenEdge) – riding in his first Tour – sealed a good day for British riders with seventh place on the stage. Soon after the stage start in Tarbes, Frenchman Pierrick Fedrigo (Bretagne-Seche Environnement) managed to break free of the peloton, despite a fast starting pace. Fedrigo ploughed on alone until 45km into the stage when he was joined by Belgian Kenneth Vanbilsen (Cofidis). The peloton seemed content to let the duo go, and they built up a gap of around 15 minutes. Movistar led the pace of the bunch for much of the mid-way section, with British time trial champion Alex Dowsett and Spaniard Imanol Erviti doing much of the riding on the front and signalling the squad’s intentions for GC hope Quintana. Rising French star Warren Barguil (Giant-Alpecin) suffered misfortune in the feed zone, crashing heavily. It looked for a short while that he would not be able to continue, but he did remount. The 23-year-old double 2013 Vuelta a España stage winner was one of the home favourites for a stage win on Bastille Day. Remarkably, he managed to finish in 15th place. FDJ joined Movistar at the front of the peloton with 50km to go, and the break’s gap quickly dropped to below 10 minutes. Fedrigo and Vanbilsen passed through the intermediate sprint at Trois-Villes without interest in it, but the hotly-contested sprint for third place from the peloton saw André Gripel (Lotto-Soudal) take third place just ahead of Mark Cavendish (Etixx-QuickStep) to retake the green jersey from Peter Sagan (Tinkoff-Saxo). The four-way fight for the points classification between Greipel, Sagan, Cavendish and John Degenkolb (Giant-Alpecin) appears to be gaining momentum, even as the race heads into the mountains. After the intermediate sprint and the subsequent climb of Côte de Montory, the peloton became more strung out heading into the final ascent, with Movistar continuing to control the throttle. Vanbilsen was the first to get caught as the gradient steepened, and Fedrigo was caught with 11km to go. Meanwhile, a lot of riders got into trouble very quickly with Daniel Martin (Cannondale-Garmin), Romain Bardet (Ag2r), Thibaut Pinot (FDJ) and Thomas Voeckler (Europcar) among those getting dropped early on. Robert Gesink (LottoNL-Jumbo) was the first to attack with 11km to go, and almost immediately Nibali lost touch with the remnants of the peloton containing Quintana, Froome, Contador and van Garderen. Gesink was briefly joined by Rafael Valls (Lampre-Merida) as more riders dropped out of the following contender’s group, including Joaquim Rodriguez (Katusha) and Rigoberto Uran (Etixx-QuickStep). 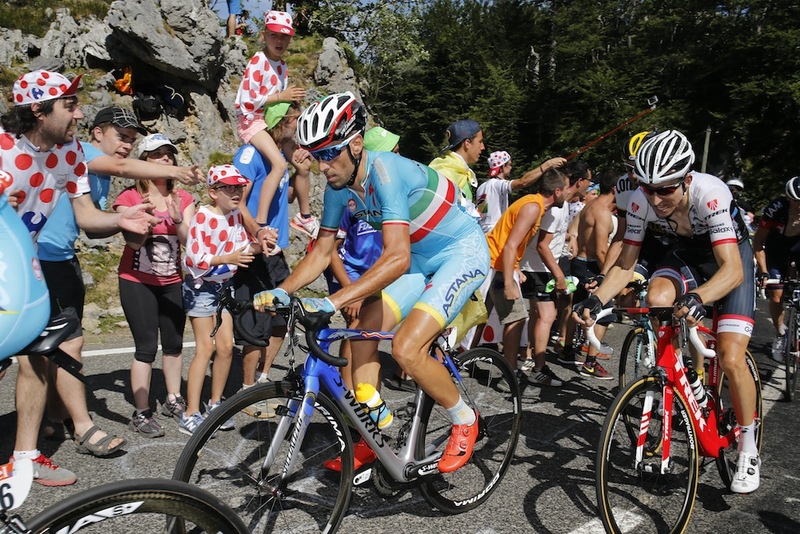 Nibali slipped further back, looking as though he was really struggling. 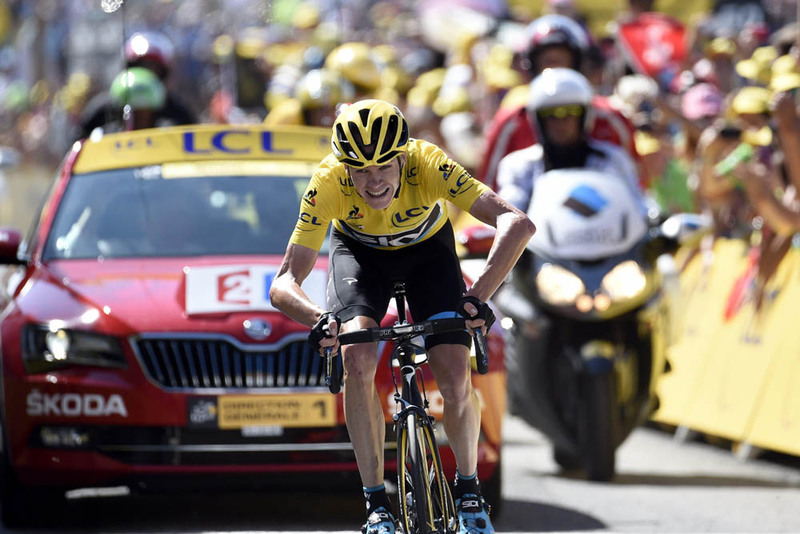 Geraint Thomas and Richie Porte set a fast pace for Sky and Froome, putting Contador into difficulty. After catching Gesink, Froome then accelerated away from Quintana to go solo. Froome continued alone to take the stage victory, as Porte caught and passed Quintana just before the line to take second place. Behind them, riders crossed the finish line in ones and twos, with some significant time gaps. 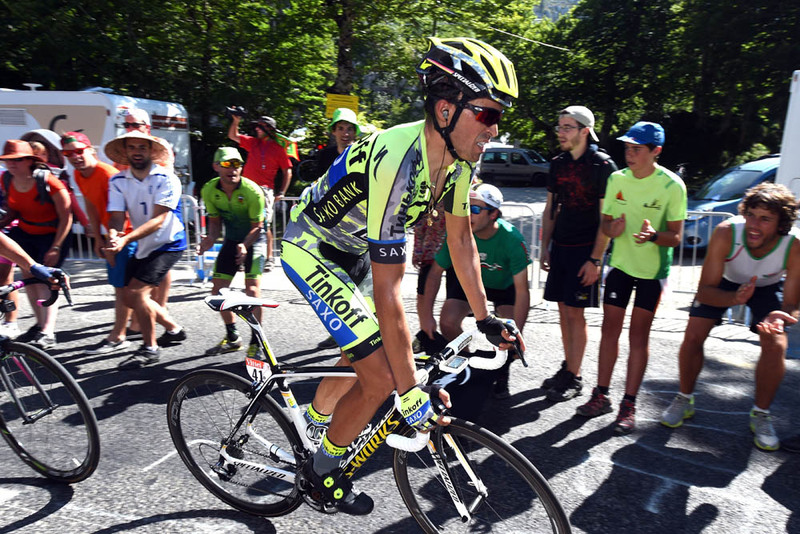 The climbing continues in the Pyrenees on Wednesday for stage 11, as the riders tackle 188km from Pau to Cauterets. Six categorised climbs will be encountered along the way, including the Col d’Aspin and the Col du Tourmalet, and an uphill finish.